TaxAssist Accountants is seeking Master Franchise partners in Canada. TaxAssist Accountants is the largest network of specialist small business accountants and the leading accounting franchise in the UK. Founded in 1995 to service the lucrative and growing small business sector, which is usually over charged and under serviced by the traditional accounting practices, it has grown to over 200 franchises, servicing 65,000 clients. Master licences have been successfully awarded for the Republic of Ireland, which has grown to 18 franchises with 5,600 clients and Australia, where the network now has 9 franchises with 3,600 clients. TaxAssist Accountants has revolutionized accounting practices in the UK by creating a retail experience with customer friendly store front premises, which strip away mystery and intimidation, something from which traditional practices can suffer. The TaxAssist Group is the Franchisor for the TaxAssist Accountants network. With no accounting practice of its own or other business concerns, the sole function of TaxAssist is that of a training, marketing and support company servicing a network of franchised accounting practices. Having proven that the concept can be replicated in both the Republic of Ireland and Australia, and that ongoing training and consultancy support can be given to a Master Franchisee, TaxAssist is in a position to be able to offer its Master Franchise Rights in Canada. Based on the principle that a standard single unit territory has a population of up to 75,000, TaxAssist is offering Master Franchise Rights covering an area with a population of circa 6 million which will result in up to 65+ single unit territories for the Master Franchisee to award, support and administer. The market potential for TaxAssist Accountants in Canada is significant and continues to grow. 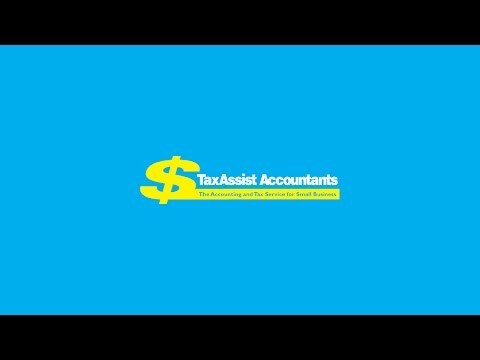 Through building a provincial / national network of franchised small business specialist accountants TaxAssist Accountants will be uniquely positioned to service this growing sector from accessible, client friendly store front locations. TaxAssist is focused on not just awarding Master Franchise Rights, but working with the Master Franchisee on a long-term basis. Full training and support is provided. Taking on a Master Franchise license with TaxAssist Accountants offers ambitious CPA qualified accountants and/or practices a fantastic opportunity to build a substantial network of accountants, taking advantage of over 22 years’ of experience and expertise built up by the UK franchise. To stay within the Canadian Chartered Professional Accountants’ (CPA) regulations, one of the fundamental differences between the UK and the Canadian model is that all franchisees must be members in good standing of CPA. Master Franchisees will be required to obtain permission from their provincial CPA body, but having been through the process with CPA Ontario, TaxAssist Accountants can work with you on this. To take your interest further, click the Request More Info button on the right or contact David Paulson at +44 (0)1603 447402 or david.paulson@taxassist.co.uk, and should you meet our criteria, we will invite you to visit our Global Support Centre in the UK. The UK visit will involve presentations from key members of the Support Team covering the business model, training and support, shadowing departments and meetings with the Directors to discuss the opportunity in greater detail.